Description Sometimes a simple block diagram is helpful in showing people where to go or what to do. 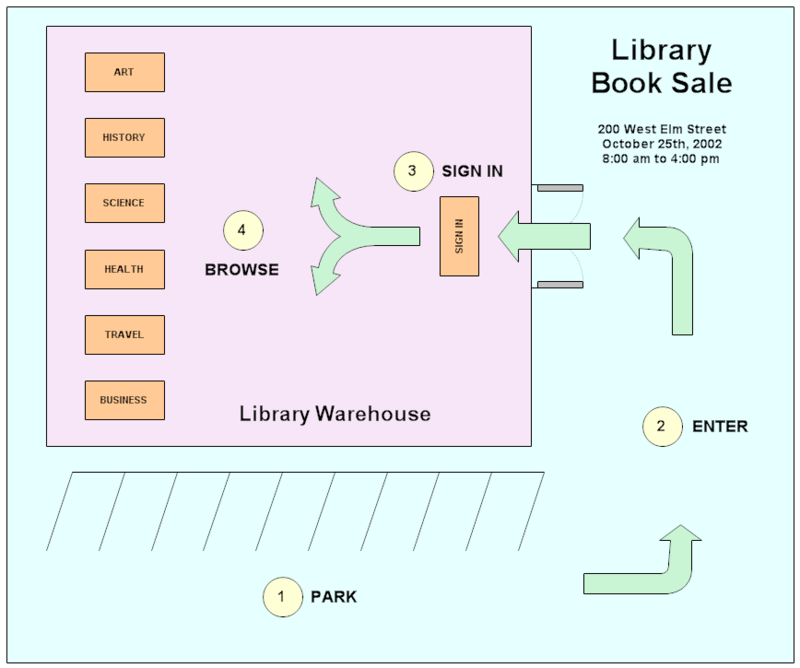 The above diagram drawn in RFFlow shows where to park, where to enter, where to sign in, and the different categories of books to browse. Block diagrams consist of rectangles with text and large arrows. There are no specific rules and any shapes from other stencils may be used. Once RFFlow is installed, you can open the above chart in RFFlow by clicking on library_booksale.flo. From there you can zoom in, edit, and print this sample chart. It is often easier to modify an existing chart than to draw it from scratch.